Battalion Chief members receive unlimited access for 4-months to ALL content within the fire department Writing Exercises section including two videos titled “Understanding Raters” and “Writing Exercises”. Members learn how Writing Exercises are scored and how to maximize points. Also included are 40 individual Writing Exercises for members that can be used as sample assignments. We have provided examples of what your finished document should look like. They cover topics that members will likely encounter during their assessment center. Each exercise begins with a description of what is expected in the final document, the timeframe allotted for the exercise and all the needed background information necessary to complete the document. The member then composes their document following the instructions provided. Once the document is complete, our members compare their document to the completed one available in this section. 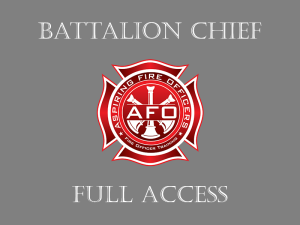 Members also receive access to dozens of additional downloads at no additional charge. 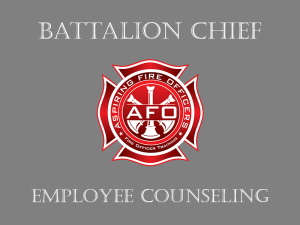 These papers are written by Chief Officers who have years of experience preparing similar documents throughout their professional careers. These papers would be scored very high in any promotional assessment center. 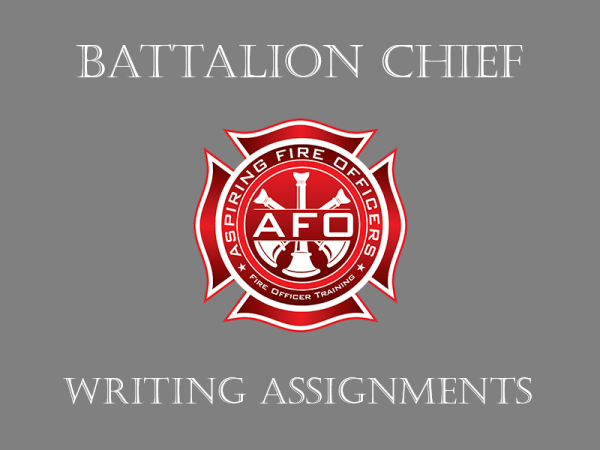 Every likely type of writing assignment that you can expect in your Fire Department Assessment Center exam is covered in this section. Writing Assignment including: Memos, Notice of Discussions, Oral Reprimands, Written Reprimands, Performance Improvement Plans, Public Response Letters, Administrative Reports, and Essays.